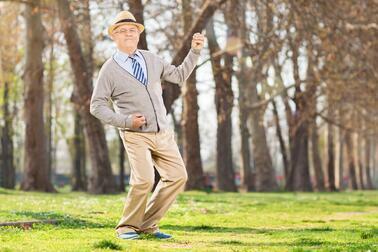 Stay active as you age by putting on your dancing shoes! Fred Astaire said “Dancing is a sweat job!” But you don’t have to break a sweat to obtain the benefits of dancing; they have been proven to be unsurpassable. Dancing can be a fun for your residents, it can add a social element to your community, and it's a really good way to keep exercise exciting! Teaching line dancing to seniors has allowed me the opportunity to see firsthand how this exercise provides healthy benefits for the mind as well as the body. Any form of dance would suffice in obtaining these wellness benefits, but if you’re worried that you need a partner, know that line dancing definitely doesn’t require one. Improved cardiovascular, muscular strength, and flexibility. Promotes healthy blood pressure, cholesterol levels, triglyceride levels, and blood sugar. Coordination improves as you work through the different movements. Bone strength can increase; bone loss can be stopped or slowed down. Assists with weight control—half an hour of continuous line dancing can burn an average of 300 calories. The social aspects of line dancing are obvious. Your sense of well-being and the camaraderie you have with the other dancers is wonderful for your health. In addition to the above, did you know that dancing is an excellent brain exercise? It integrates several brain functions at once, increasing connectivity. 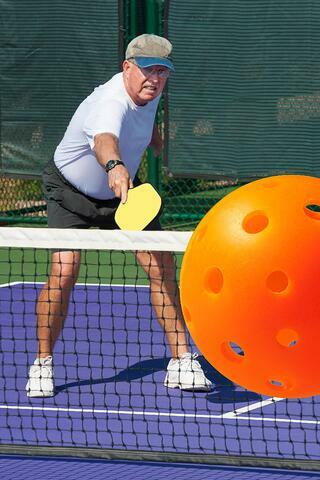 As people age, maintaining memory and continuing to challenge intelligence is a real priority. What better way than to dance? Dancing requires memorizing steps, and that provides mental challenges that are crucial for brain health. Consider the fact that to execute a dance you need to remember the specific steps that flow in a sequence, and the brain has to inform the body how to move in a timely manner. Not only does the physical aspect of dancing increase blood flow to the brain, but the social aspect of the activity leads to less stress, depression, and loneliness, which can also cause memory issues. Dancing is also all about balance. Dancing consists of changing up the steps, arm patterns, formations, speed, and rhythm. All of these factors play a significant role in maintaining balance. Just envision doing the grapevine movement, where you must maintain balance as one leg crosses behind the other all while in motion. Not to mention that when you are dancing you are also dual-tasking. Dual-tasking has shown to improve gait and balance because everyday life involves doing one or more things simultaneously (walking and talking, or moving forward and looking to the side as examples). Therefore, when you’re moving your feet one way and arms or head the other in a dance routine, you are dual-tasking. Also don’t forget the fact that you’re having to think which steps come next. Want to get started? Here’s the simple grapevine movement. Safety always comes first. Designate a place where you can reach to hold on if necessary, and modify your movements if crossing one foot behind the other is too challenging. Step to the right with the right foot. Step right with the right foot, uncrossing your feet. Repeat stepping to the left with your left foot as well. See how NIFS Premier Balance Redefined Programming enhances resident wellbeing. Download our Media Kit below. 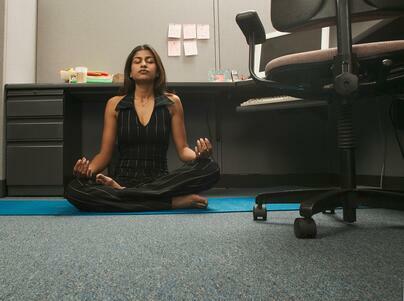 Daily stress can make you unhappy and irritated, which in turn affects your overall health. Meditation is a simple addition to your daily activities that can help improve your quality of life and put you in a more positive mindset. Although you may feel like there is no time to meditate because of everything on your plate, it actually helps you become more focused and productive to get those things done and feel more calm while doing it. You can correct your thoughts from a more negative mindset to a positive one and understand why you feel the way you do. Your mood will fluctuate and meditation can keep things on a more even keel to prevent anxiety. You can then handle outside situations that arise without feeling out of control. Just a few minutes a day will help reduce overall anxiety, stress, and even depression. Here is a step-by-step guide to start a simple meditation practice. Take a comfortable seat with your legs crossed and ensure your posture is proper. Place your hands in your lap with both palms facing up. Let go of tension in your back and soften your jaw. Keep your eyes slightly open. Focus all your thoughts on your breath. As you breathe in, imagine it is all positive blessings that surround your life. As you exhale, blow out all negative thoughts and distractions. Continue until you feel relaxed and peaceful. Meditation doesn’t need to take a large chunk of time. Even 10–15 minutes daily can make a big difference in your health and wellness. Try it first thing in the morning to start your day off right, at the end of the day to de-stress, or in those moments when you feel the most overwhelmed—whatever works best for you! When a corporate fitness center isn't possible, how do you get your employees to move more? Check out our free download for tips for adding exercise, click below! Are you struggling with the winter blues? Is it cold and dark and dreary in your part of the country? When was the last time you felt and saw the sun? You could be lacking vitamin D, and this can lead to depression and a lower immunity to fight colds. Fatty fish: This includes salmon, mackerel, canned tuna, and sardines. Three ounces of salmon provides 450 IU of vitamin D—almost all of the daily recommendation of 600 IU. Canned tuna and sardines are an inexpensive way to get in seafood, giving you heart healthy omega 3s and 150 IU of vitamin D per serving. Another bonus is the long shelf life if you haven’t been to the grocery store to get fresh protein choices. Milk: Almost all cows’ milk in the U.S. is fortified with vitamin D. A lot of other dairy products are, too, but not ice cream or cheese. Typically an 8-ounce glass of milk has 100 IUs of vitamin D, and most yogurt has around 80 IU for a 6-ounce container. If you are choosing soymilk or almond milk, most are fortified, but check the labels to be sure. Fortified orange juice: If you aren’t a fan of milk or have lactose intolerance, 100% orange juice is an option. 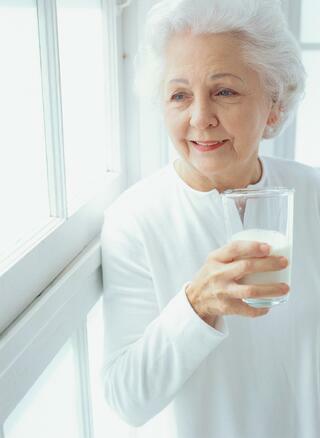 Typically an 8-ounce glass has the same amount of vitamin D as a glass of milk (100 IU). Just make sure you are buying the fortified kind. Egg yolks: Eggs are a great way to get in vitamin D. However, you have to eat the whole egg and not just the whites to get the benefit. One egg yolk has 40 IUs. Fortified cereal: Another way to double up on vitamin D is to choose a fortified cereal to have with your milk or glass of OJ at breakfast. 1 cup of Multi Grain Cheerios provides 90 IUs of vitamin D. Add milk to that and you are close to 200 IUs! Just be sure to choose cereals that are labeled as fortified with vitamin D.
Supplements: If you still have trouble getting all of your vitamin D needs met through food and the sun, an alternative is to take a supplement. The upper-limit dose for individuals over age 9 is 4,000 IU per day. Consuming more than this can lead to higher blood calcium levels and increased risk of kidney stones. Always talk to your physician before starting a supplement. Recent studies have found that nearly 3 out of 4 individuals have either a Vitamin D deficiency or borderline deficiency. Most of this because we spend more time indoors compared to our parents and grandparents. Longer work hours, longer commutes in a vehicle, and more screen time indoors definitely play a part. Get outside, incorporate more of the foods above, and chat with your doctor about supplementing. All of this can mean a healthier immune system, stronger bones, and lower risk of some cancers. Want to lose weight, gain muscle, manage diabetes, improve sport performance, reduce cholesterol, or just figure out how to grocery shop and prepare healthier meals? 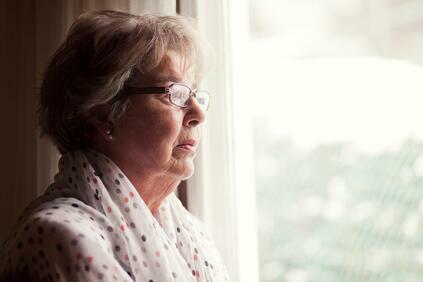 According to the American Medical Resource Institute, approximately 6 million people over the age of 65 are depressed. As we know, this time of year can be very difficult for some seniors since the holidays have a tendency to intensify feelings of loneliness, anxiety, and depression. Use the following tips for keeping holiday depression at bay this season. Mayo Clinic states that exercise can help to combat anxiety and depression by releasing “feel-good chemicals” into the brain while reducing the immune system chemicals that can worsen depression. These results boost mood through calming effects, coupled with an increase in confidence that we experience while exercising. Typically, holidays are filled with family, friends, and foods that are full of sugar and high in fat, which can bring on or worsen anxiety, depression, and bad moods. (Check out this article to discover the ways sugar may be harming your mental health.) Try maintaining a blood-sugar balance, increasing omega-3s, eating a balanced diet, and getting in your vitamins to combat the blues stemming from poor dietary choices. Speaking of vitamins, did you know that vitamin D is produced when our skin is exposed to sunlight? When the weather gets cooler and the days get shorter, we spend less time outdoors soaking in the sun, which results in a dip in vitamin D absorption. Studies suggest that low vitamin D levels are associated with depression and Seasonal Affective Disorder (SAD). Read more about SAD here. Staying connected to family and friends will benefit you both emotionally and psychologically when you start to feel the holiday blues creeping up. Remember past holidays, but try starting some new traditions to find joy and balance this holiday season. Volunteering to help the less fortunate reminds us how lucky we are while connecting us to others, keeping us mentally stimulated, and providing us with a sense of purpose! 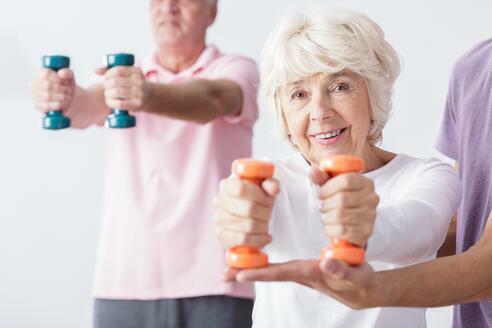 Help keep your residents active and engaged with others, check out our quick read for the benefits of exercise and aging well.